Not to beat about the bushes, Michel Barnier should succeed Jean-Claude Juncker. Not just because his handling of the Brexit process has enlarged his stature, but for a number of other cogent reasons, writes Gilles Merritt. Giles Merritt is the founder and chairman of Friends of Europe. This opinion piece was first published on that organisation’s website. To begin with, there’s really no one else. Neither Italy nor Spain has a credible candidate to field, and Germany won’t. Indeed it hasn’t since the impressive Walter Hallstein, who six decades ago was the first Commission president. As to the highly qualified hopefuls from smaller countries, the mood seems to be that the lack of international clout they embody is a major drawback, as illustrated by the recent tenures of a Portuguese and no less than three Luxembourgers. No, the consensus seems to be that it’s time for someone from a big country that will give its full backing to a reformer. In short, it has to be a Frenchman. Michel Barnier has not yet declared his candidacy, or even joined the ranks of La République en Marche! But he’s the only credible candidate available to France’s reform-minded President Emmanuel Macron. Barnier is, furthermore, especially well qualified for the job. He has twice been France’s member of the European Commission, and almost twenty years ago played a low-key but influential role in the shaping of the European Convention’s blueprint for EU reform. That endeavour over-reached itself because its ‘European constitution’ was stymied by referendums in France and the Netherlands. No blame for that attached to Barnier. His stints as a commissioner have seen him handle regional development and aspects of the single market that stretched from financial services to cooperation on defence technologies. He knows the commission inside out and needs little advice on the weaknesses and anomalies that need to be reformed. Barnier’s chief asset, of course, is the high profile he has earned as the commission’s Brexit negotiator. Some in the UK ‒ and not just fervent Brexiteers ‒ have accused him of haughty arrogance. That isn’t his image elsewhere in Europe. On the contrary, he appears to be seen as a model of patience who firmly defends the EU’s overall interests and enforces the treaty rights and obligations of all member states. Much could happen in the next twelve months to derail Barnier’s Commission chances. As his British interlocutors might put it, taking advantage of his increasingly fluent English, ‘there’s many a slip twixt the cup and lip’. 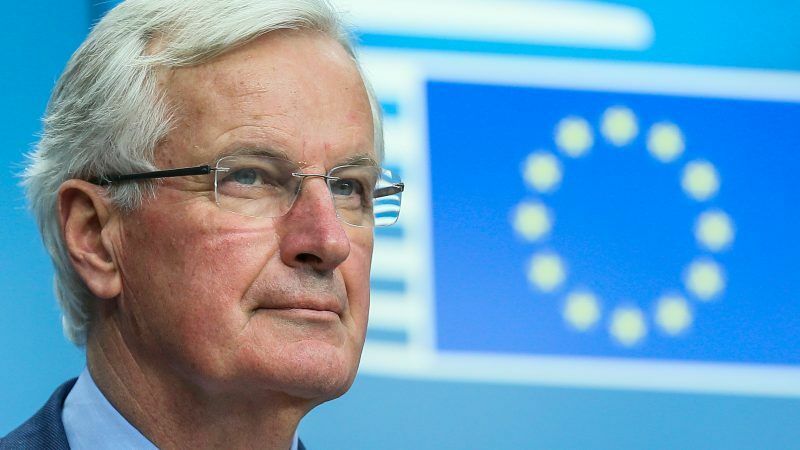 The intervening period could, however, be put to good use if Barnier were to take advantage of his own newsworthiness to promote discussion of reform ideas. Purists may argue that Michel Barnier already has his hands full with Brexit, and should not be distracted. They’d probably say, too, that it’s unseemly to jump the gun by campaigning so early. Neither is very convincing, whereas there’s a compelling case for injecting new energy into the EU policy debate. Barnier could further strengthen his bid by choosing a running mate, who would be his No 2. The obvious shortlist consists of Margrethe Vestager, Jyrki Katainen, Cecilia Malmström and Frans Timmermans; all of them highly competent, but from smaller countries and handicapped by weakened political positions at home. Discussion about Jean-Claude Juncker’s successor has so far centred chiefly on the institutional question of whether the Spitzenkandidaten method should continue to be used, thus linking the successful candidate to the outcome of the European elections. It’s not as democratic as it sounds, of course, but given the misfortunes of Social Democrats across Europe, Barnier as a centre-right candidate would presumably benefit from this system. Far more important, though, would be his successful use of the intervening months before mid-2019 to set out policy intentions capable of seizing imaginations. The EU is becalmed in the doldrums and needs a freshening breeze of new ideas and an adventurous captain at the Commission’s helm. So basically he is the One, because there is nobody else and because he worked 20 years ago on the constitution, which failed in his own country… Brilliant!